Something quite incredible is happening at the moment. Women are landing blockbuster directing jobs in the world of sci-fi and superheros genres notorious for being male heavy for years. 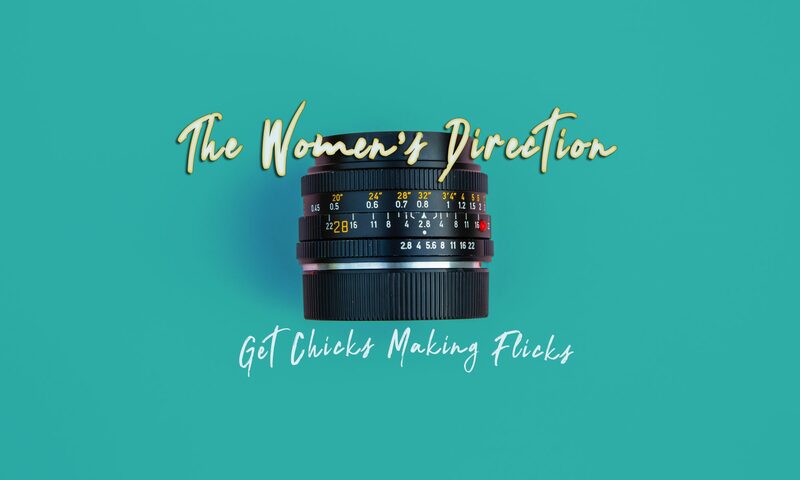 What began with Patty Jenkins’ Wonder Women has now opened up the floor for a range of women directors on other projects in a similar realm. S.J Clarkson has been hired to helm the next Star Trek movie, Victoria Mahoney is on as 2nd unit director in the next Star Wars, there are talks with a handful of women directors for the Marvel Black Widow spin off film and Margo Robbie is making sure there’s a women helming her Harley Quinn spin off film as well. In celebration of all of this I thought I would take a look back at some sci-fi films that have come from women directors over the years. Winner for best death scene with a ruler, this 1992 American comedy horror film about a Valley girl cheerleader named Buffy who learns that it is her fate to hunt vampires was a moderate success at the box office, but received mixed reception from critics. The film was taken in a different direction from the one its writer Joss Whedon intended, and five years later, he created the darker and acclaimed TV series of the same name. Set in the last two days of 1999, the film follows the story of a black marketeer of SQUID discs, recordings that allow a user to experience the recorder’s memories and physical sensations, as he attempts to uncover the truth behind the murder of a prostitute. The film divided critics but Kathryn Bigelow was the first woman to win Best Director at the Saturn Awards. After a comet disrupts the rain cycle of Earth, the planet has become a desolate, barren desert by the year 2033. With resources scarce and evil corporation seizes control of the remaining resources. Unwilling to cower under the tyrannical rule, a pair of outlaws known as Tank Girl (Lori Petty) and Jet Girl (Naomi Watts) rise up, joining the mysterious rebel Rippers to destroy the corrupt system. Not very well received critically, the film still has a strong cult following and, due to its female main character and director, holds an important place in the history of sci-fi for women in my opinion. A comet is hurtling toward Earth and could mean the end of all human life. The U.S. government keeps the crisis under wraps, but crack reporter Jenny Lerner (Tea Leoni) uncovers the truth — forcing U.S. President Beck (Morgan Freeman) to announce his plan. Released at the same time as similar film Armagedon it managed to do better at the box office and was received better by critics. Not much is written about this film and it seems to be one that has slipped under the radar. “An existential thriller with nods to dimestore pulp and old-fashioned H-bomb paranoia, the film’s circular story opens in 1953, as New York crime novelist Terumi Matthews steps out for coffee and winds up mysteriously transported to 1997.” (1) On a small budget with minimal resources the film still manages to tell a disorienting story about time travel that focuses more on the emotional impacts of such an event rather than the events caused by the time travel itself. In 2011, a deadly pathogenic virus has killed 99% of the Earth’s population, forcing the survivors to regroup and scatter across the Earth. Confined to one city-state, a group of rebels, led by Handler (Frances McDormand), seeks to destroy the oppressive government — Tasked with assassinating a high-ranking chairman, Aeon Flux (Charlize Theron) must integrate herself in a world of deceit and mystery. Unfortunately this film was a box office bomb mainly due to the move away from the previous animated Tv Show source material. The film follows the adventures of The Kid, a teenage boy turned superhero in the “Wastelands”, an alternate 1997 Earth where water is scarce. He teams up with a mysterious girl named Apple and an arm-wrestling cowboy named Frederic to stop the tyrannical warlord Zeus. This film was a gory harp back to 90’s Saturday morning cartoons and vintage superhero films and had 3 directors one of which was Anouk Whissell. Written, directed and produced by women Advantageous is the story set in the near future where Gwen struggles to provide a good future for her daughter Jules. Opulence overshadows economic hardship, and Gwen and her daughter just try to hold on to their joy. It received fairly positive reviews mainly for the ideas that director Jennifer Phang and writer Jacqueline Kim portrayed. Death dealer Selene (Kate Beckinsale) must fend off brutal attacks from both the Lycan clan and the vampire faction that betrayed her. This is the 5th instalment in the Underworld franchise and the only one directed by a woman. Unfortunately it was not received very well by critics but it did gross over $80 million at the box office with only a $35 million budget. We recently featured the work of director Kate Rees Davies here on the blog. Her film Altered Perception tells the story of four couples who agree to participate in an experiment designed to treat psychological problems. At first, the treatment results are promising as their perception becomes clearer, but when couples start to perceive too much, things begin to turn deadly.